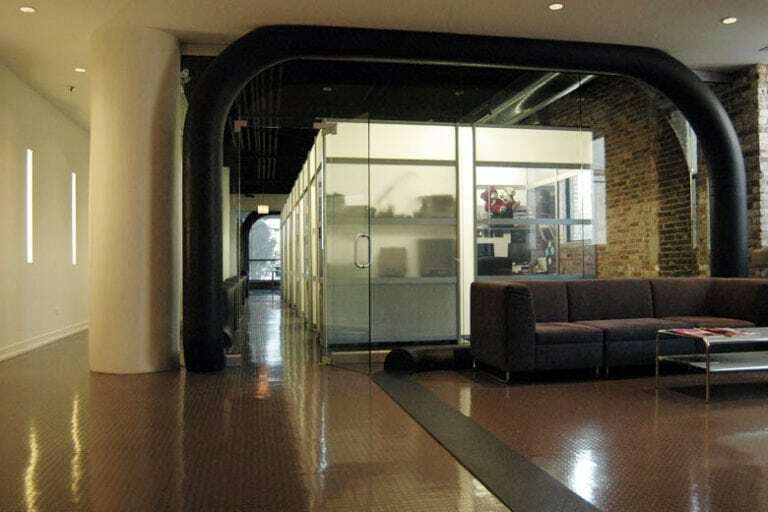 Interior gut renovation of an existing commercial loft for the headquarters of a telecom and IT consulting firm. 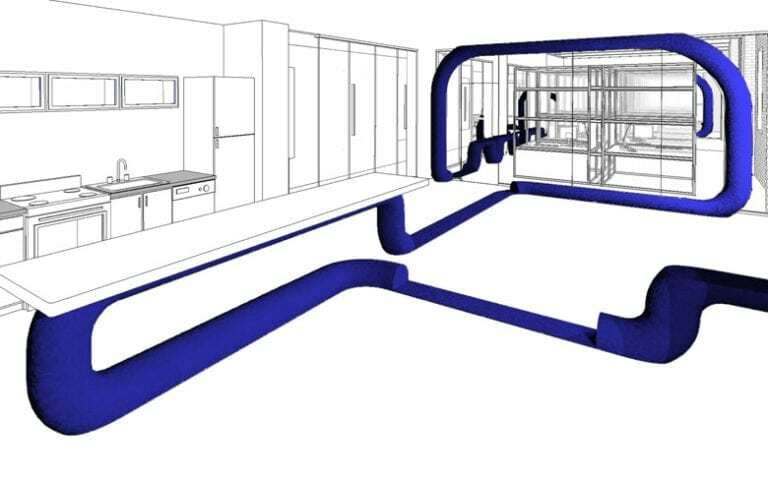 The interior architecture of computer mother-board and electric equipment panel was emulated through the use of premanufactured oil rig piping. 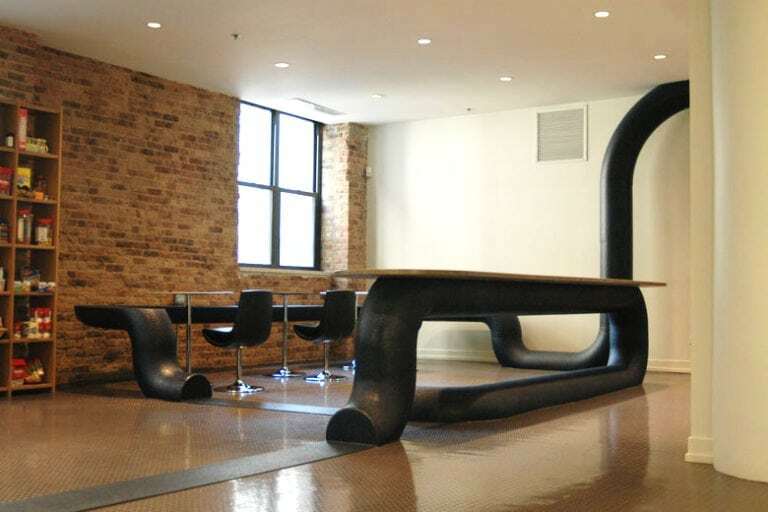 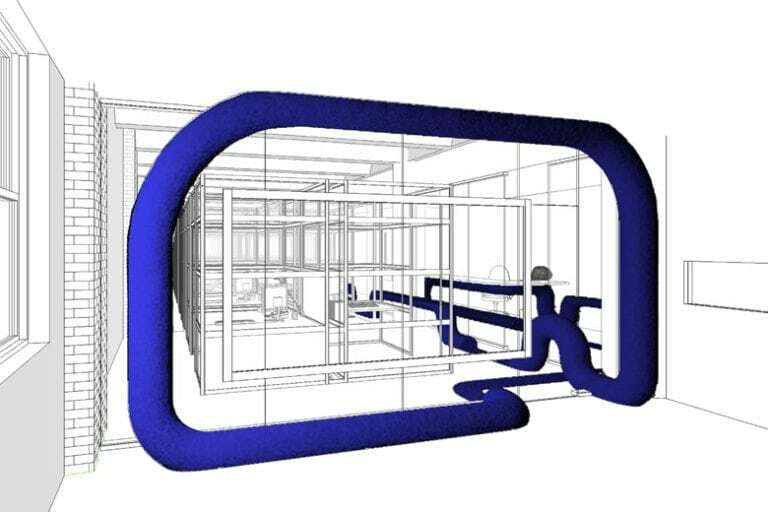 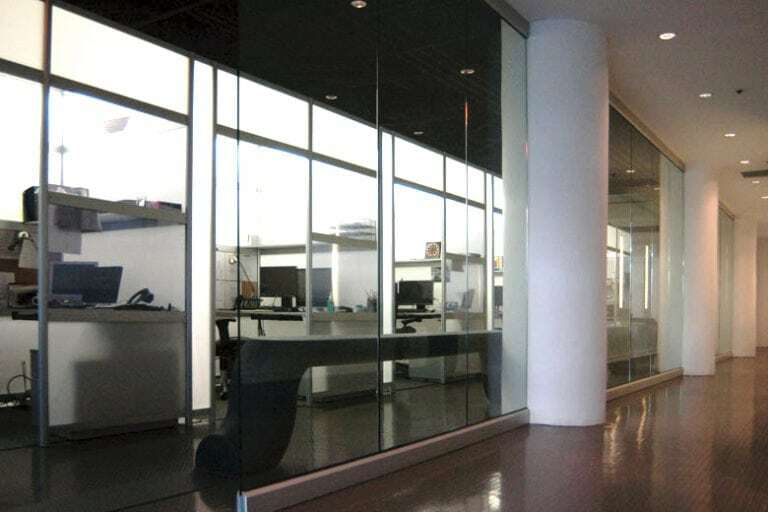 The pipe or “wire” migrates throughout the office and transforms into functional office items such as seating, display screens, entry transitions, signage and counter space.